No new Lancer in next 2 years? Submitted by peter on 16 August, 2007 - 20:46. Mitsubishi motors are struggling in Thailand. With a measly 4.5 percent of the market share on sales of just 6,600 units for the first quarter of '07, Mitsubishi really need some new, exciting and competitive machinery in their line up. Something like a new Lancer would help! A Mitsubishi showroom in Thailand is about as exciting as watching old cars get older. Although the Triton is a moderately successful vehicle for the marque, there is little else on offer with wide market appeal. But even the Triton is disappointing Mitsubishi by not reaching sales expectations, and the strength of the Thai Baht doesn't help the export situation. What Mitsubishi Thailand really need is the 2008 Lancer, now! The current Mitsubishi Lancer on Thai roads has been knocking around for over 8 years. In that time it has received many cosmetic facelifts and minor changes, but the underlying technology and chassis are dated, and compare badly to the current generation of competition in the segment. The Honda Civic, Chevrolet Optra, Mazda 3, Ford Focus, and even the similarly long-in-the-tooth Toyota Corolla Altis all represent better investments and it is a wonder that Mitsubishi are able to sell the Lancer at all. Things will get worse for Mitsubishi when the new 2008 Altis hits Thai showrooms later this year. Meanwhile, Mitsubishi are set to give the Lancer what must surely be its final minor change before the all-new model makes it's appearance here. 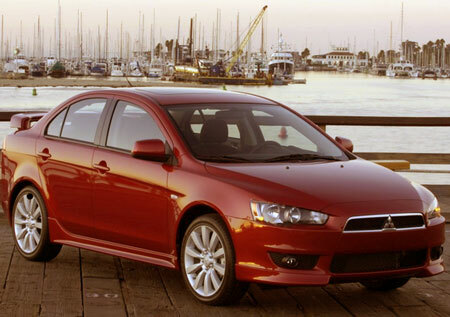 The Lancer has a strong fan base, thanks mostly to the very successful Evolution series. Joe Public who can't afford a real Evo can buy a Lancer, add a body kit, and fit a noisy exhaust system and dream that he is driving a powerful and exciting car. According to the new boss of Mitsubishi Motors Thailand, Michiro Imai, no date has been set for the release of the new model, and producing the new 2008 Lancer in Thailand would require additional investment to modify the factory for production. Apparently this would take longer than a year, and it is unclear when this process would kick off. 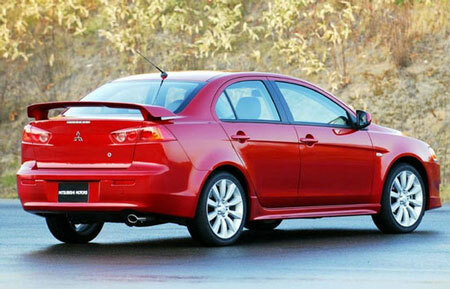 The 2008 Lancer is already on the roads in the US, and will be launched in Japan in October at the Tokyo Motor show. It would seem that Thailand are a long way behind, with a 2009 launch being the best we could hope for. In the meantime Mitsubishi will have to focus on promotions and gimmicky sales tricks. Mitsubishi recognises that they need new cars that are more in-tune with the Thai motoring public, but the first "new" vehicle will be the Triton based Pickup Passenger Vehicle (PPV), and that is a year off. The company has a lot of work ahead.